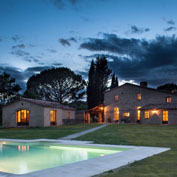 A number of our guests have expressed an interest in Tuscan villas with spas - Jacuzzi, Turkish, saunas and/or hot tubs. Although this is not a common facility, several of our villa owners have installed spa facilities from outdoor hot tubs to full flung indoor spas and even a few have indoor pools so you can enjoy spa facilities in the comfort of your own rental villa! Also worth considering is a villa situated in an area which has hot thermal springs. This is a great treat at any time of year. The waters have beneficial qualities and are all naturally occuring. The spas all have gardens with loungers and offer day entrance to indoor/outdoor pools. They also offer various treatments and/or massages on request. Don't leave Tuscany without experiencing a day at a natural spa! You'll love it. 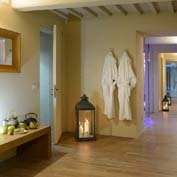 We list all spas in Tuscany in our FREE information pack on Tuscany sent before arrival to all guests who book with us. A fabulous Tuscan estate and spa. Superb luxury suites in a picturesque village setting with own gourmet restaurant and 2 pools. Air conditioning. Private spa and wellness centre with Turkish bath, Jacuzzi, lap pool, massages, fitness room, lounge and spa café & bistro. Many estate facilities including horse riding, archery, tennis, football, wine tasting and more. 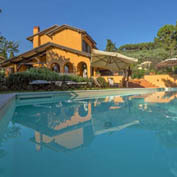 Fabulous, luxury villa with easy reach of Cortona. Set in 5 hectares of olive groves. 7 bedrooms, 10 bathrooms. Latest technology for internal air ventilation/heating. 4 kitchens, 4 dining areas, Spacious living room, 2 smaller lounges, Travertine marble en suite bathrooms. Wellness area with Turkish bath, Chromotherapy shower and Jacuzzi, Sat TV, SKY TV, pizza oven, BBQs, large covered loggia for dining outdoors. Private heated pool. Garage, private parking. Alarm, video surveillance. Local town 900 mts, supermarket 800 mts, restaurant 700 mts. Cortona 8km. Siena 36km, Florence 75km, Golf 1.5km, Tennis 1km. 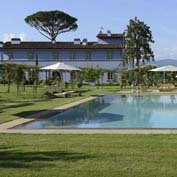 Fabulous luxury villa close to Lucca and the Tuscan coast . 7 bedrooms, 5 bathrooms. Light, bright interiors. Well-equipped Tuscan kitchen, fabulous dining room. French windows to garden and terrace. Individually styled bedrooms. WI FI, air con throughout, Weber BBQ, pizza oven, private outdoor pool and Jacuzzi. Indoor heated pool. Set in an olive grove with lovely views. Pretty, furnished outdoor seating and dining areas. 2km to local village, 15km to Lucca. Close to wineries. Within easy reach of the Tuscan coast. 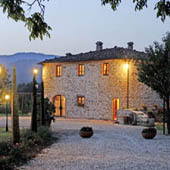 Superb luxury villa close to Lucca. 12 individually styled bedrooms, 12 bathrooms, Deluxe spa on lower floor with heated indoor pool with hydro massage & sauna. Spacious luxury kitchen, large dining room, charming lounges. Light neutral colouring throughout. air con, WI FI; Sat TV. BBQ. 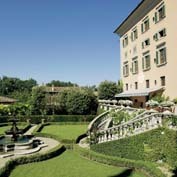 Outdoor areas for dining & relaxing, private outdoor pool, Limonaia for event/ meetings. Restaurant across the road, Lucca 15km. Tuscan coast 50km. Perfect for family reunions & special occasions. Luxury villa on private country estate. 3 bedrooms, 4 bathrooms, living room, well equipped kitchen, dining room. Air conditioning, Private pool, pool house, set in private vineyards. Arezzo 20 mins, Florence 50 mins. 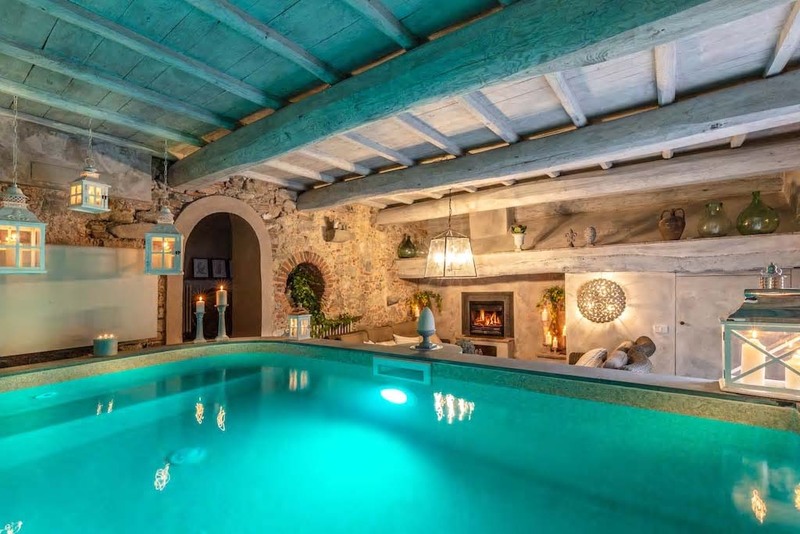 Estate Borgo close by with gourmet restaurant and spa and estate fcailities including tennis, horse riding and more..
Fabulous stone farmhouse set in large garden, private heated pool. 5 bedrooms, 5 bathrooms, spacious living room, dining room, kitchen, additional kitchen & BBQ at poolside, sauna, satellite TV, phone and WI FI ADSL internet connection. Underfloor cooling system. Security system. Bicycles. Multipurpose pitch. Local village 2km, Siena 20 mins, hot thermal springs 10 mins. Fabulous villa close to Florence, 6 bedrooms, 5 bathrooms + guest bathroom, elegant dining room, state of the art kitchen, living rooms, TV room, pool table, air con, WI FI, private pool and outdoor Jacuzzi. Indoor spa area with Turkish bath, sauna, Jacuzzi. BBQ area, kid’s play area with Wendy House, slide swings. Wonderful views. Local town 2km, Florence 29km. 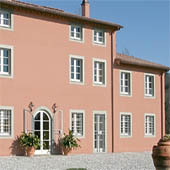 Fabulous, aristocratic villa close to Lucca. 6 bedrooms, 5 bathrooms Private pool, Italian style gardens, WI FI Internet, outdoor dining, BBQ, wood oven, wine cellar and tasting room. satellite TV, lift/ elevator.Lucca 3km. 200 sq mt spa with: Turkish bath, sauna, shower, ice water bucket, salt wall treatment & relax area. Stylish luxury villa with designer interiors. 8/9 bedrooms, 11.5 bathrooms, private pool - 3 connecting pools with cascades , large garden, BBQ, Sat TV, DVD, cinema room, WI FI internet, Air con, use of private tennis court, horse riding stables, private 9 hole golf course,. Private spa with Turkish and Jacuzzi. 20 mins to the beach. 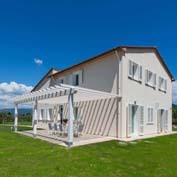 A stylish villa in Val di Chiana. 5 bedrooms, 6 bathrooms. Modern decor, air con, WI FI, sat TV, well equipped kitchen, dining room, indoor spa with indoor hot tub & chromotherapy shower, private pool and garden. Close to Cortona and lake Trasimeno. A superb luxury villa with designer interiors. 7 bedrooms, 6 bathrooms + pool bathroom, private pool , large garden, BBQ, Sat TV, cinema room, DVD, WIFI internet, Turkish bath, Air con, wine cellar, use of private tennis court, horse riding stables, private 9 hole golf course, 20 mins from coast with several beach resorts. A stylish villa within walking distance of Cortona. 5 bedrooms, 6 bathrooms, air con, sat TV, private pool, Turkish bath, sauna, indoor hot tub, panoramic views. Cortona 1km. 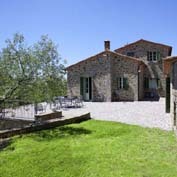 Pretty stone farmhouse close to Buonconvento in beautiful Val d’Orcia. 9 bedrooms, 10 bathrooms. Several living rooms, farmhouse kitchen, formal dining room,. Air con in bedrooms, WI FI Internet, hairdryers and courtesy kit in bathrooms. Wellness area with sauna and hot tub. Pool table. BBQ and wood oven, private pool. Buonconvento 5km, Siena 32km. A pretty restored mill house on 2 floors. It has a large living room, kitchen, downstairs toilet. 3 bedrooms , 2 bathrooms There is a private garden and a shared pool. WI FI, air con. Located 2 kms from reception. Local village close by. Arezzo 20 mins, Florence 50 mins. Estate Borgo close by with gourmet restaurant and spa and estate facilities including tennis, horse riding and more. 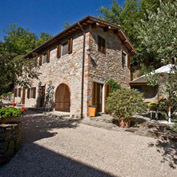 Pretty stone villa close to Cortona. 6 bedrooms, 5 bathrooms, 2 x lounges, dining room, kitchen. Spa area with sauna, Jacuzzi, gym. WI FI Internet, satellite TV, infinity pool. Pretty views. Air con. Outdoor kitchen with wood oven & BBQ. Cortona 4km. 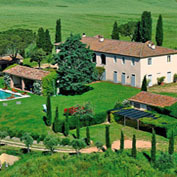 Luxury villa in Val d’Orcia. Superb designer interiors. 9 bedrooms, 9 bathrooms, well equipped Tuscan kitchen, 4 living rooms 2 with open fireplace. Large garden, private jet stream heated pool, outdoor Jacuzzi, patios and terraces with pergolas, stocked vegetable garden. Air con in bedrooms. WI FI Internet. Satellite TV. Breathtaking 360° views, 1.5 hrs Florence, 2 hrs Rome 30 mins Montalcino. 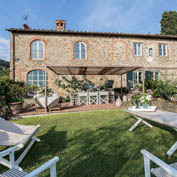 A beautiful 17th Century villa estate, situated just a few minutes from Cortona. Used as a set in the 1993 film "Under the Tuscan Sun". 10 bedrooms all with en suite bathrooms. Set in beautiful grounds with private pool, jacuzzi and pond. Full air con, wifi internet, sat TV, screens, games room, various living rooms, fully equipped kitchens, wine cellar, BBQ, table tennis, outdoor dining areas. 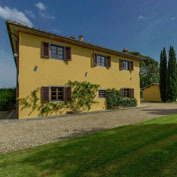 Fabulous luxury villa in Val d’Orcia. Superb designer interiors. 8 spacious bedrooms, 9 bathrooms, dining room well equipped Tuscan kitchen, living room with open fireplace. Air conditioning in bedrooms. Large garden, private jet stream heated pool, outdoor Jacuzzi, patio, BBQ, stocked vegetable garden. Breathtaking views, 1.5 hrs Florence, 2 hrs Rome 30 mins Montalcino. 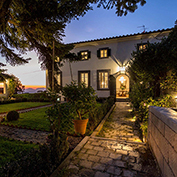 Stunning, luxury villa close to Lucca. 7 bedrooms, 9 bathrooms. Wine library, 2 fully equipped kitchens, formal dining room, large living room, sitting room with Sat TV and music system, office with phone , fax, internet, computer facilities, reading room, elevator. Air con throughout. Private heated pool, gym, sauna, BBQ, mountain bikes, private tennis court, private lake. A stylish, renovated farmhouse in the Val d'Orcia in Southern Tuscany. 5 bedrooms. Large living room with fireplace. Dining room seating up to 16. Outside shaded dining area. Fully equipped kitchen. 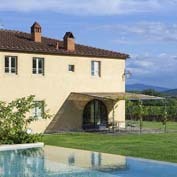 Nearby heated pool has stunning views of the Val d'Orcia. Hot tub. Wifi internet, Sat TV.. Nearest towns: Sarteano and Montepulciano (15 mins). A pretty restored mill house on 2 floors. It has a living room, kitchen, 1 double bedroom, 1 twin bedroom , 2 bathrooms There is a private garden and a shared pool. WI FI, air con. Located 2 kms from reception. Local village clsoe by. Arezzo 20 mins, Florence 50 mins. Estate Borgo close by with gourmet restaurant and spa and estate facilities including tennis, horse riding and more. A country farmhouse property with a total of 7 apartments set in large grounds with a shared pool. Pretty, contemporary interiors. Sauna, gym, massage room. Air conditioning. Views towards San Gimignano. Close to Florence. Beautifully kept grounds. Close to local village. A pretty country farm estate with 10 apartments, 3 detached villas and 4 B & B rooms. Owned by Italian footballing legend Paolo Rossi. Tastefully furnished and well equipped. Large shared pool with Jacuzzi corner, football pitch, tennis court, Turkish bath, gym, mountain bikes, estate wine & olive oil for sale. Satellite TV, air conditioning. Florence 1.5 hrs, Siena 40 mins. Pretty farmhouse apartments on an exclusice country estate 4 farmhouse apartments sleeping 4 and a cottage sleeping 5. Garden, shared pool, WI FI Internet, sat TV. Facilities include use of a spa with wellness suite, gym, Turkish, lap pool, village gourmet restaurant all close by. Local village at 2km. Pretty farmhouse apartments on an exclusice country estate 4 farmhouse apartments sleeping 4. Garden, shared pool, WI FI Internet, sat TV. Facilities include use of a spa with wellness suite, gym, Turkish, lap pool, village gourmet restaurant all close by. Local village at 2km. 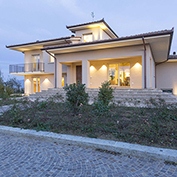 Luxury villa near Cortona. 7 bedrooms, 10 bathrooms. 4 kitchens, 4 dining areas, Spacious living rooms, Wellness area, Sat TV, pizza oven, BBQs, heated pool, covered loggia for dining outdoors. Garage, private parking, alarm, Local town 900 mts. Most importantly, our contact at Rent a Villa in Tuscany is amazing. Fiona was always there for us, efficient, and quick to respond. My wife and I would like to thank her very much! If only most service providers could understand "this is how it should be." Overall experience with you and your professionalism was five stars!!!! Our whole group had a memorable week so thank you for EVERYTHING you did to make it special, and thank you for sending us so much additional info that was very helpful. I am very sad to be back in the States but grateful for the experience. I will definitely recommend Rent a Villa in Tuscany to everyone I can, and thanks again! you made the whole process easy and painless. I'll happily recommend your company to all our friends.